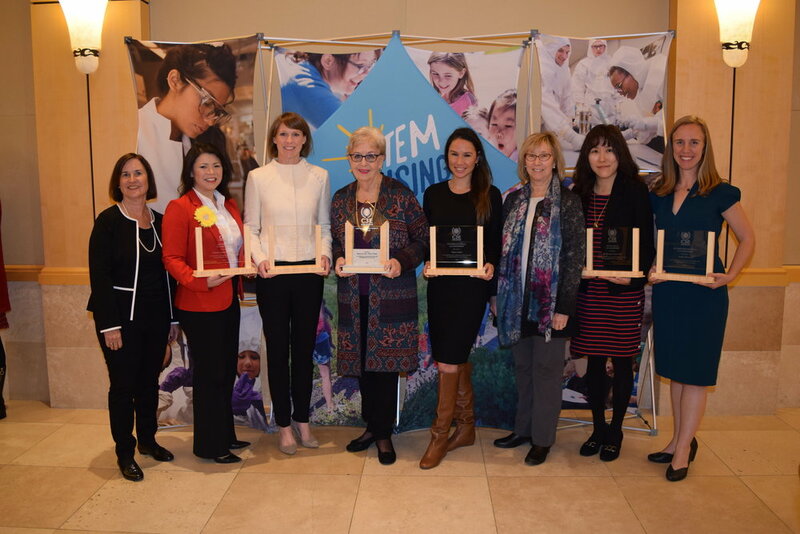 The annual Clean Energy, Education & Empowerment (C3E) initiative’s 2018 symposium honored eight accomplished mid-career women earlier this month at Stanford University. Among many heartfelt moments, Kathryn Moler, physicist and Stanford’s dean of research, presented the lifetime achievement award to her aunt, Elizabeth “Betsy” Moler, former chair of the Federal Energy Regulatory Commission. For eight years, C3E has sought to increase opportunities for women in energy at all levels of business, policymaking and research. Signs of progress exist. In October, The Wall Street Journal reported that U.S. electric and gas utilities have more female chief executives than any other sector of the economy. At the symposium, participants spoke proudly about their opportunities to make the world a better place through careers in clean energy. While some of the discussion at this year’s symposium was about gender, more was about building a sustainable energy system, building careers in energy and lessons learned. “When you're working on something and you think others don't think it's important, trust your own judgment and stay the course,” said Sally Benson, Stanford professor of energy resources engineering and co-director of the Precourt Institute for Energy, which organizes the symposium with the U.S. Department of Energy, MIT Energy Initiative and Texas A&M University’s Energy Institute. Like Benson, speaker Jane Woodward described her personal journey that wound up in sustainable energy. Woodward, founder and CEO of the investment fund MAP Energy, traced her route from early childhood through to becoming a major investor in natural gas and then wind power projects. She advised symposium participants to take chances, make mistakes and get messy. Constance H. Lau, president and CEO of Hawaiian Electric Industries, said she hoped all attendees would continue to work in clean energy. “We're all about that much greater purpose of trying to save the planet, and there’s not that many careers where you can really say that,” said Lau. While women are entering the energy sector in higher numbers than before, they too often leave after a few years, several speakers noted. Many companies have improved maternity leave benefits, and that should help. Jennifer Rockwood, global power and utilities practice leader for Russell Reynolds Associates, said that to achieve true parity, however, paternity leave benefits must be the same as those for maternity leave and then companies should strongly encourage new fathers to take the leave. Certainly, some women in the energy sector have suffered gender-based discrimination, said Dan Brouillette, deputy secretary at the U.S. Department of Energy. "But, in far more cases, women are held back because they lacked encouragement to pursue STEM education in their formative years,” he said. Research – Ah-Hyung (Alissa) Park, professor of applied climate science and director of the Lenfest Center for Sustainable Energy, Columbia University. Valerie Montgomery Rice, MD, president and dean of Morehouse School of Medicine, gave a keynote address on health equity, the importance of diversifying the healthcare workforce and parallels with the clean energy agenda. "Diversifying your workforce is going to make a big difference," she said. "Who sits around the table really does matter, particularly as we are trying to change the world, which is what you're going to need to do in order to have clean energy." Dian Grueneich, a C3E ambassador and former commissioner at the California Public Utilities Commission, led the final panel discussion, "Women Helping Women" with executives from ExxonMobil, Russell Reynolds Associates and Southern California Edison.